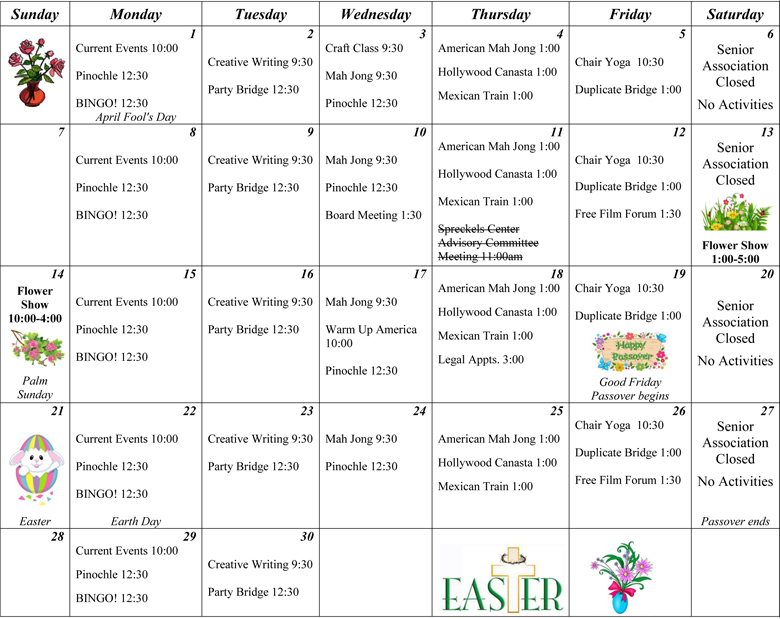 The activities calendar below lists our ongoing programs by time and day of the week. Join us as we get settled into our wonderful new facility. CLICK HERE to view the Spreckels Center Newsletter. Come by for a visit. We are located inside the John D. Spreckels Center. Closed on Saturdays, Sundays and all city holidays. CLICK HERE to contact us with questions or concerns about items in the calendar.